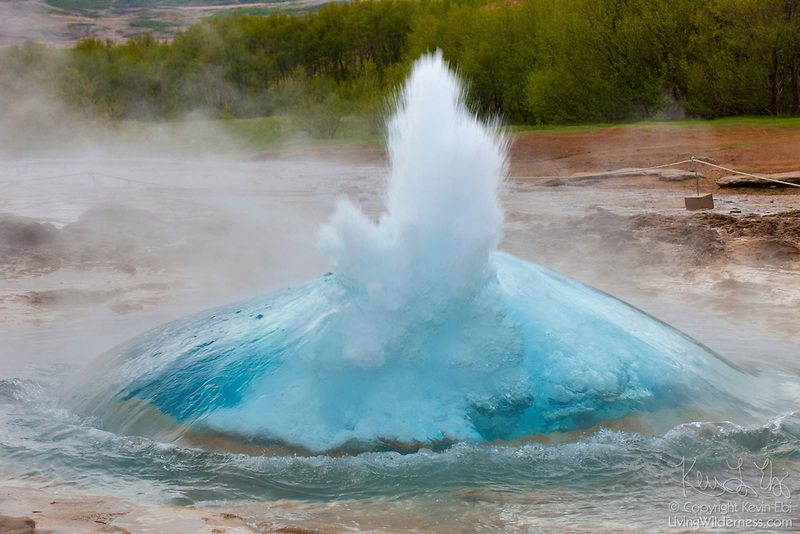 The Icelandic geyser Strokkur begins to erupt. Strokkur means "churning." Its water level repeatedly swells and contracts before erupting, which it does every four to eight minutes. The geyser, which first erupted in 1789, reaches a height of as much as 100 feet (30 meters).